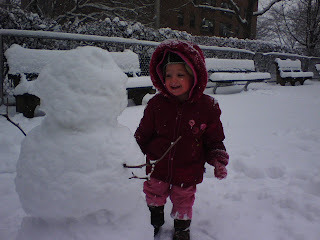 Lucia has overcome her fear of the snow, thanks to her new friend, the snowman! Lucia is aging by the minute; she has to wear glasses now. That's why we are getting ourselves a new baby. 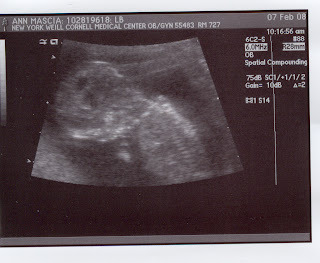 We are expecting our second ... and so far so good. 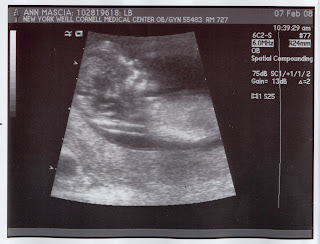 Here is an ultrasound shot at about 12 weeks taken last week. 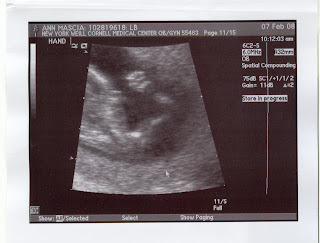 These pics are a bit blurry but the first is a profile the second is the baby looking down and the third is the back and the back of the head with its right arm sticking up. A friend of mine says it already looks like me. I'm not so sure yet. I was fooled the first time with Lucia looking totally like Alessandro. Altho', it would only be fair right?